You know what? I think I actually felt some sun the other day. Spring is finally here! With the sun, the blossom, the lambs, the bird-song and the lighter evenings, comes the chance to at last emerge from hibernation and to really enjoy being outside and on two wheels. To help you get out there and enjoy those first rays of sunshine, we’ve put together a list of local clubs and cycling groups who can show you some new routes, keep you company, compliment your bike/gear or recommend the latest piece of kit and perhaps even give you some extra motivation when the temperature is still a little on the chilly side. Here are a few suggestions of great groups of people organising great bike rides in and around Oxford – do let us know if we’ve missed anybody! Easily identifiable, thanks to their bright pink kit – the Cowley Road Condors are a racey road club, but are friendly and supportive of beginners. They’re also proud to boast of a strong female contingent. If you can bear to look at the kit for long enough, try to spot the Broken Spoke logo on the back pocket of their jerseys! You might know the Cyclists Touring Club, or CTC as a national organisation who do some great campaigning work on making the roads better for bikes. Their local group, CTC Oxford City run regular rides from Broad Street, often with a coffee stop half way, and they also organise various social events. Based out of Zappi’s Bike Café on St Michael’s Street, Zappi’s are another road club, run by the flamboyant former Italian professional, Flavio Zappi – again, a warm and supportive welcome is on offer for anyone wanting to get into lycra and riding quickly. ISIS Cyclists run short bike rides for women, with the aim of encouraging non-cyclists to get back on their bikes and commuters to try leisure cycling. Ride length ranges from 5-30 miles and all feature a refreshment stop, with the emphasis on fun and sociability. The original Oxford road club, Oxonion have a history dating right back to 1885. They organise weekend ‘club runs’, as well as a racing calendar, including both road races and regular weekly time trials throughout the summer. 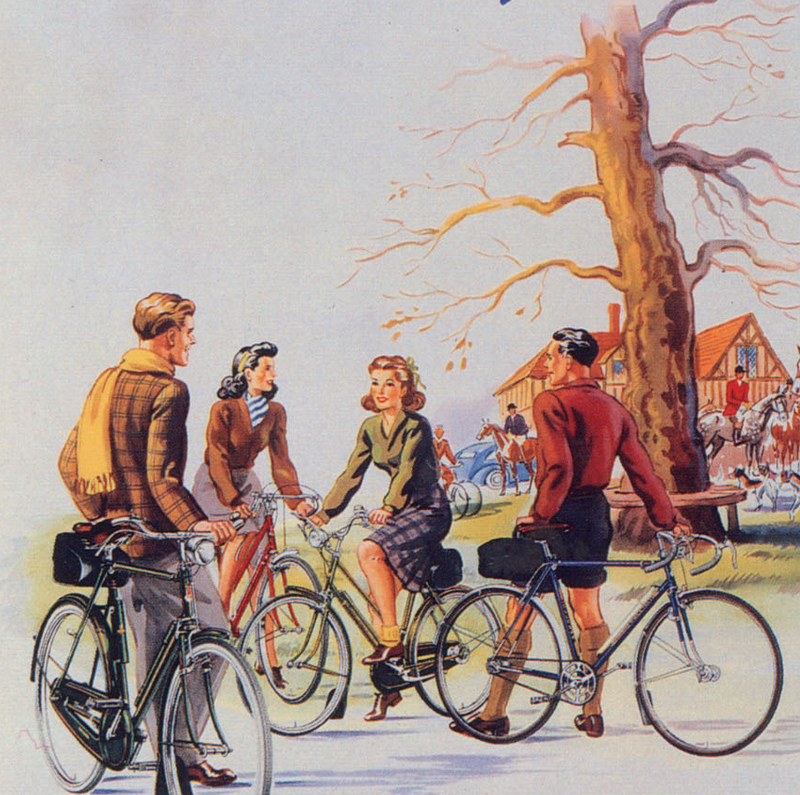 If you are based down in Abingdon, then Abingdon Freewheelers are great for anybody starting out with cycling and wanting to go a bit further into the countryside on a sunny weekend. They run regular rides of between 15 and 30 miles from Abingdon Marketplace with the emphasis on enjoyment rather than keeping up a breakneck speed. And finally, you might have heard of Critical Mass – there is no-one in charge of this one, but if you turn up on Broad Street at half 5 on the last Friday evening of each month, you might just meet some people with bikes… This is a bike ride with a protest flavour, taking a joyously slow, care-free and meandering turn around Oxford’s streets for around an hour, before ending in a pub. You did it!! Crowdfunder finishes at £15,922! Broken Spoke Bike Co-op is a Community Benefit Society with charitable objectives. We are registered as Broken Spoke Bicycles Limited with the Financial Conduct Authority (FCA), number 31918R.